Rakaia, 60 Dunford Street | Ashburton's Premier Property Team. Pair up with us, we'll knock your socks off! Whether you are starting out, starting again or searching for investment opportunities, here is a fantastic property that could offer you a lot. 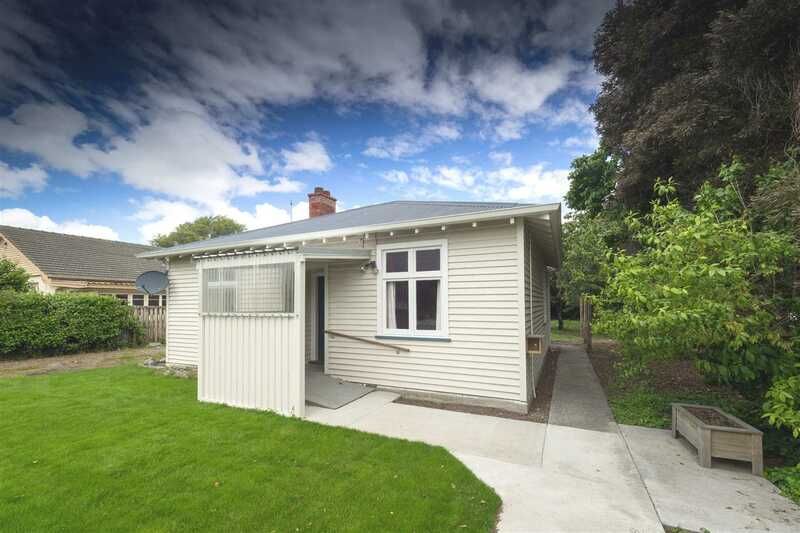 Located close to all the amenities on the popular Westside of the Rakaia township, you have a charming two bedroom cottage on a large 1012 sqm section. Landscape the backyard into the gardens of your dreams or perhaps there is potential to be had in subdividing and building something new. Whatever you're looking for, why not come and discover what is possible. Chattels remaining: Blinds, Fixed floor coverings, Light fittings, Stove, Curtains, Drapes. TV aerial.